New York – -(AmmoLand.com)- Americans will remember Andrew Cuomo, the 56th Governor of New York, long after he leaves Office and longer still, once he has departed from this Earth. They will remember Andrew Cuomo, but not in a good way. They will remember him for ramming through the State Government in Albany, two policy measures, both of which are antithetical to the core values, beliefs, and traditions of Americans, and both of which are inconsistent with the core tenets of the Bill of Rights of the United States Constitution. Those two reprehensible New York policy measures go by the names: New York Safe Act and the Reproductive Health Act. Governor Cuomo has championed both these policies; and with his political clout, he has forced both measures through the State Legislature, in Albany. Cuomo signed the former Act into law on February 15, 2013. He signed the latter Act into law, on January 22, 2019. The descriptors employed for these two laws belie their purpose, as all awful laws invariably do. Cuomo tells New York’s residents that the salient purpose and goal of the NY Safe Act is to promote and enhance public safety. But Cuomo is lying. A perusal of the Act makes clear its true purpose and goal: disarming law-abiding members of the public, to defeat the right of the people to keep and bear arms under the Second Amendment of the Bill of Rights of the U.S. Constitution. The NY Safe Act operates through a multitude of arcane New York laws that place extraordinary restrictions on firearms’ ownership and possession. The drafters of the NY Safe Act peppered the myriad regulations that comprise the Act, here and there, throughout the New York State Code. Even an attorney must spend considerable effort to locate them all in this behemoth compendium of laws that comprise the Consolidated laws of the State of New York. Once found, the meaning of many of these laws is difficult to discern and fathom as much of the verbiage is ambiguous and vague. Whether due to unintentional poor draftsmanship or from a deliberate attempt to obscure and confound, Andrew Cuomo and other anti-gun zealots do intend to frustrate the American citizen, and, so, dissuade the citizen from obtaining and maintaining firearms within the jurisdiction of New York. Governor Cuomo exclaims, disingenuously, that he is simply more desirous of promoting, enhancing, and securing public safety and less intent on defeating the citizen’s exercise of a fundamental, enumerated, unalienable right. Hardly true, but, one thing is true enough. 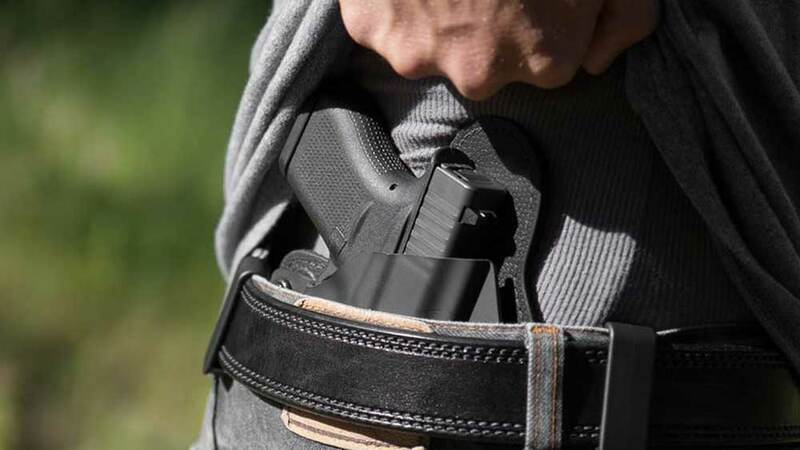 The NY Safe Act only serves to make the public decidedly less, not more, safe, as law-abiding citizens who reside in New York become an easy target for armed predators who demonstrate regard neither for law nor for the sanctity of human life. Thus, one is left to draw the inescapable conclusion that the NY Safe Act has, ultimately, nothing tangible to do with promoting, securing, and enhancing public safety–which are mere mindless messaging–and the Act has everything to do with undermining the ideals of individual responsibility, autonomy, and inviolability, all intrinsic to the Second Amendment. It should come as no surprise, then, that Andrew Cuomo would endorse a second measure—certainly a measure he undoubtedly had a hand in crafting and shaping like the first one—that is abhorrent as the earlier one, and, is horrific, as it amounts to legally sanctioned murder. Regardless of protestations to the contrary; it is the individual—in this case, the most innocent among us, the unborn child. The NY Safe Act of 2013 and the Reproductive Health Act of 2019 represent the power of and desire of Government to control the lives of individuals and to prescribe morality for society. This idea is manifest in those who ascribe to the ideologies of Socialism and Communism. Socialists and Communists concern themselves with what ostensibly benefits society as a whole. That concern for society as a whole comes at the expense of any concern for the individuals who comprise that society. Thus, what ostensibly benefits society is detrimental to the needs and concerns of the individual. As with those who espouse the radical left-wing doctrines of Socialism and Communism, Cuomo is a ‘Collectivist.’ Collectivists concern themselves with society, in its entirety, not with the welfare and well-being of the individual in society. So, then, when Cuomo expresses concern for the health, well-being, safety, or welfare of the public, he uses the word, ‘public’ in the broadest sense, consistent with the precepts of Collectivism. He refers to the body politic in its entirety; not to the individuals who comprise it. The ethical system Cuomo and other Collectivists embrace is called utilitarian consequentialism. This is an ethical system unconcerned with and therefore devoid of any reference to a person’s intentions and motivations. Utilitarian consequentialism derives ethical maxims from the results or effects of one’s actions on society, alone. And the individual’s motives and intentions for acting fall out of the equation entirely. Motives and intentions are deemed essentially irrelevant. Hence, an action is deemed morally good or morally evil from the standpoint of consequences only. A morally good act is one that maximizes utility for the collective, the hive. A morally evil act or a morally neutral act is one that does not maximize utility for the collective. The notion of ‘utility maximization’ is a nebulous and unsatisfactory concept upon which to build an ethical system. For ‘utility maximization,’ means whatever the proponent of utilitarian consequentialism, says it means. It is therefore arbitrary and constantly subject to revision, as it is subject to the whim and caprice of the rulers of society who utilize it to dictate morality for the populace. Morality for Collectivists, these people, then, who espouse utilitarian consequentialism, perceive morality as a relative notion, not exact, not definitive, not concrete. Utilitarian consequentialism, grounded on this notion of ‘utility maximization,’ is a bankrupt ethical system because, for the utilitarian consequentialist, good and evil, are relative to time, place and circumstance, and, above all, to the wiles of those who define the expression for everyone else. A utilitarian consequentialism is a form of moral relativism, and moral relativism of any form, is hardly something upon which to establish a system for distinguishing good from bad conduct, as any act, however reprehensible, can be deemed morally permissible; and, in fact, it is this very moral relativism that allows for something like New York’s obscene Reproductive Health Act to be enacted. Like the New York Safe Act, the Reproductive Health Act betrays the sanctity and inviolability of the life. It betrays the welfare and well-being of the American citizen. The New York Safe Act has nothing to do with promoting and enhancing safety. And the Reproductive Health Act has nothing to do with promoting health. It is a Death Act, not a Life and Health Act. Most Americans do not share Andrew Cuomo’s beliefs and wish neither to adopt nor suffer his political, social, and bankrupt moral belief system; nor do they wish to adapt themselves to it. But they have no choice. Cuomo thrusts his beliefs and his bizarre belief system onto others anyway. Since Cuomo wields considerable power and influence in New York and shows no reluctance in exercising that power and outsize influence, those falling within the purview of his jurisdiction—namely the residents of the State of New York—are compelled to live in reality, a hell-world, he has created for them. Few can object as Cuomo seeks to control public discourse; he seeks to control all thought, and action; and, with the avid assistance of the mainstream media, he has become very successful at it. The qualities of compassion, restraint, humility, and respect for the beliefs of other Americans simply don’t exist in Andrew Cuomo’s psychological makeup. Cuomo, like so many other Collectivists in the Democratic Party, both on the State and Federal level, demonstrates a callous disregard for the feelings and beliefs of others. Forcing his peculiar belief system onto millions of others, he does so with the conviction and certitude of a fanatic and sociopath, seemingly convinced of the infallibility of and superiority of his beliefs; oblivious to and, indeed, disdainful of the thoughts and feelings of others. As a private citizen, Cuomo may, of course, hold to and cultivate any belief or belief system he wishes. That’s his right as an American citizen as guaranteed in the First Amendment to the U.S. Constitution. That harms no one. But, as Governor, Cuomo can and does ordain his belief system for others, that harms everyone and cannot and ought not to be countenanced and ought to be roundly and soundly condemned and fought against. Through the enactment of the NY Safe Act, Cuomo at once denied and denigrated a fundamental, natural, unalienable right—a right that is clearly, concisely, and categorically articulated in the Second Amendment to the U.S. Constitution. He did this because he utterly detests the Second Amendment and he finds the right of the people to keep and bear arms to be repugnant to his own peculiar sensibilities. Cuomo operates as if the Second Amendment did not exist. Similarly, through the enactment of the Reproductive Health Act, Andrew Cuomo operates as if the unborn child is a non-entity and may, therefore, be summarily and unceremoniously erased. This is the new reality, the hellish cauldron of insanity and horror that Governor Andrew Cuomo’s Reproductive Health Act has thrown all New York residents into and which, like the reprehensible New York Safe Act, he would unleash on the entire Country if he were but given the chance. Congressional Democrats are attempting to do just that. Arbalest Group created `The Arbalest Quarrel’ website for a special purpose. That purpose is to educate the American public about recent Federal and State firearms control legislation. No other website, to our knowledge, provides as deep an analysis or as thorough an analysis. Arbalest Group offers this information free. For more information, visit www.arbalestquarrel.com.